I finally sat down this morning to watch the second installment of Dr. Michael Chighel's video series, called "What Torah thinks of Torah". I think it was about 15 minutes long. Whoa. Either my brain in completely fried, or there was a lot of information packed into those few minutes. It could really be both. 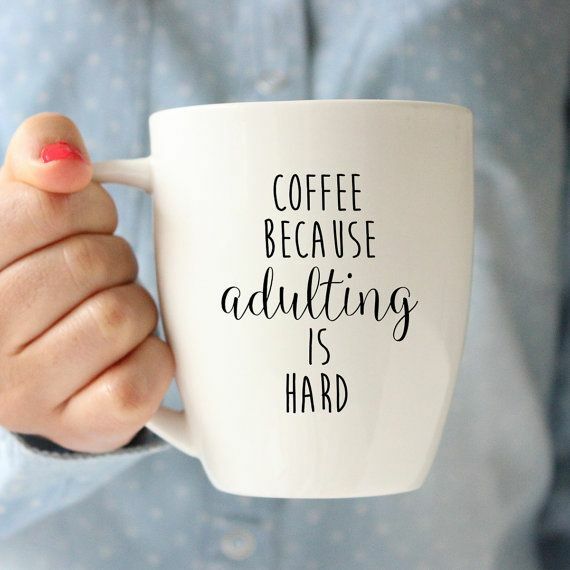 I hadn't had my coffee yet when I watched the video. The upshot is, that I think I have to watch it again. The first few minutes I thought were excellent. Dr. Chighel tried to illustrate the question of how an Infinite Being (G-d) could get across information to a finite being (us). His clarity of exploring that question made sense and I could really feel the divide... if a finite being (person) has trouble explaining 1+1=2 to another finite being (dog), than how much more so does an Infinite Being have giving over deeper sociological/ethical/spiritual issues to finite beings. Chighel does a great job on this. After that, I think my brain wandered... so I will have to watch again and update this post. I hope you are watching with me - feel free to set me straight! Get those brain cells moving! With four kids under the age of 6.5, it's hard to get back into learning... anything. I'm sleep deprived, and generally running around (mostly back and forth from school) doing stuff for other people. I not even quite sure if my brain hasn't atrophied into nothingness. I have no problem with any of that, though I'd love some more sleep please... but it's also important to realize that everyone needs a spiritual "checkup". I thought about this last week and happened upon a series of videos that looks doable. Interesting, thoughtful and I think I may actually learn something. Dr. Michael Chighel, a PhD in Philosophy, brings an introduction to Torah and Torah ideas to us. My goal is to watch a video a day (or every other day). His introductory video, is about 18 minutes long - so after I dropped two kids at school, went to a doctor appointment with the third, took him to school, then sent the baby to his bed for a nap, it was time for breakfast and a very much needed coffee, a perfect time to watch a video. And anyone who knows me, that's impressive, I have no patience for videos of any sort. The videos following this introductory one look shorter, about 10 minutes apiece. I'm going to try and watch each of his videos and write up my impression here. 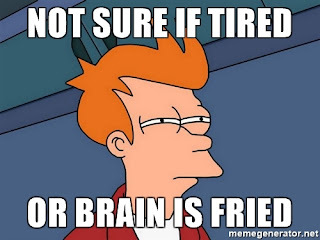 If you'd like to join me in attempting to get my brain cells running again and have a discussion in the comment section... please do! Grab a coffee, tea or even water (yes, it's healthy!) - watch the video and leave your comments here on the blog. Looking forward! Have a great week! I came across an op-ed article yesterday from the LA Times, titled "It's too expensive to be Jewish". To read it, click here. In the article, the mother is complaining about the cost of bar mitzvah lessons. One quote is for $140/hour, another for $80. Her kids attend a Hebrew school that meets twice a month and reading Hebrew is not part of the curriculum. She goes on to talk about the cost of membership in a Temple that does have Hebrew as part of the curriculum, and the cost of High Holiday tickets. Now, I get that there are times that being Jewish does cost extra. If you are sending your kids to day school, tuition does not come cheaply, neither does kosher meat. But within the Jewish lifestyle there is plenty that is free and inexpensive. Lighting Shabbat candles once a week, is not an expensive habit. Having a family meal together without the gadgets is recommended by experts who have studied the breakdown of the nuclear family. Making that family meal on a Friday night with some wine and challah make that meal a holy one, something really special. Bringing that meal to a holy level, to connect with all the Jews around the world, all saying the Kiddush will make an impact on everyone at that table. There are plenty of synagogues and organizations that do not charge astronomical fees for praying on the High Holidays - one just needs to take a quick look around. Chabad, for one, does not. And it's as easy to find them as the 7/11 on the corner. The question really are priorities. This woman sends her kids twice a month to a Jewish Hebrew school. I applaud her for that. However, does she think that those two times are really going to make a deep impact on her kids? Does she re-enforce the lessons taught at school... at home? Does she read Jewish books with them? Does she light Shabbat candles and have Friday night dinner as a family sans electronics? As for Nathaniel, baseball and sleep-away camp and a million other not-so-good excuses have prevented me from setting up his first tutoring session. But it's on my to-do list. Priorities. She manages to find the money for baseball and camp (and who knows what else) - but not for a Jewish education for her kids. Like I said, not everything Jewish costs money - but some things do... she needs to be honest with herself - if there is limited money (and she makes clear that she did not win the lottery), then how is she budgeting. What is most important to her and her family? Judaism and Jewish continuity or baseball? Perhaps it's a Jewish camp - that would be fantastic. That would be a good use of money. But we don't get that sense from her writing. I wish her and her family the very best - and I hope that she finds a way to inject a joy of Judaism into her kids and not boil it down to nickels and cents... especially since she's finding other ways of spending that change. I have a 5.5 year old (going on 13), a four year old and a two year old. All were up early and all were quite tired, cranky and overtired. 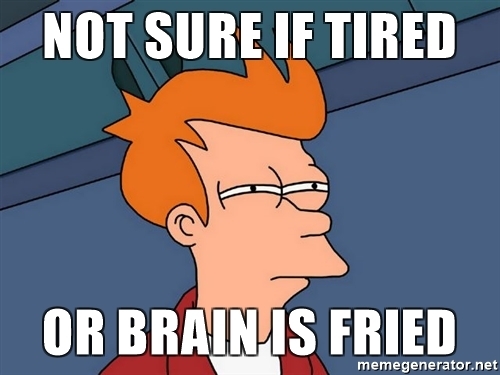 My four and two year olds decided it was a good day to be physical with each other and run through my apartment in circles, climbing and falling off the couches, crashing into things and into each other, climbing the bookshelves (don't worry, they're attached to the wall)... can we say... OMG!!! I did manage to fast, but suffice it to say, it was a rough day. So I'm open to suggestions for next year... Any thoughts out there that don't include television, computers, videos, anything electronic and not killing the kids (just kidding)? Oh, and by the way - Sukkot is starting sundown October 16! Tuesday night begins Yom Kippur, the day that we apologize to G-d for our mistakes. Hopefully by this point we've already apologized to our acquaintance, friends and family for hurting them. I just came across a fascinating video, about four and a half minutes, about a golden bell that hung at the bottom of the Kohen Gadol's (High Priest) robe. Click here to see it. Good to watch before Yom Kippur. Otherwise, take a few minutes before the holiday to check out these websites, and maybe print off something that looks interesting. Not going to be spending much time, or any time at all in shul this Yom Kippur? A bit disappointed to be spending the most lofty day of the year stuck at home with young kids breaking up fights, changing diapers, and passing out bamba? The great Rabbi Elya Lopian zts”l taught that while the rest of the Jewish people is in shul praying, we mothers of young children should not feel the slightest bit disappointed that we spend this day focused on physical tasks rather than in the elevated atmosphere of the synagogue. If you are a mother of young children, and dedicate your holiday to caring for them and your family’s needs, then the few minutes of prayer you say on your living room sofa are as valuable in Heaven as a rabbi’s 3-hour Amida in synagogue. There once was a king who made a ceremony in honor of his birthday. All day, he sat on his throne receiving his citizens’ well wishes. Each was rewarded for his or her visit in accordance with the king’s respect for that subject. In the line stood the nanny of the prince, the king’s son. When her turn came, everyone waited to hear what reward she would receive, as the king surely valued her role immensely. I was going through an old storage unit and I came across a fantastic set of books that I grew up with. They are perfect for 4-6 (and even older) year old kids, full of Jewish content and great to read. I brought them home and my kids are loving them. The author is Michoel Muchnik, also an artist. I also have been coming across some really interesting articles - if you have a moment, take a quick read. Crazy I know - Rosh HaShanah is coming! Facebook groups are starting to obsess about the menus, what to cook, what to freeze... omg! Okay, so I'm not that person who's quite that organized. I think I'm lucky that I get Shabbat meals ready every week. Not too bad an accomplishment. But the truth is, we should be starting to prepare for Rosh HaShanah, it is the Jewish New Year. Even if we're not ready to get our menus in order, we should start to think about what Rosh HaShanah is actually about. It's about crowning HaShem (G-d) King over ourselves and over the universe. Huge. But what does that actually mean? We are not the end all, be all. We like to have control over our lives, and we do the best to have that control. However, that control is really a facade. Usually, we don't realize that we don't have complete control until something goes wrong - health problems, loss of a job or something else. Then clearly, it's no longer in our hands... and we start to wonder, and talk to G-d (usually in anger or pain) and finally see that most things are not really in our control - the reality dawns that HaShem wants us to talk to Him and make a connection. Unfortunately, it's usually hardship that forces the connection... since when things are good and floating along cheerily, we forget about the Guy in Charge. But it doesn't have to be that way. We have to make the connection even when things are good, recognize HaShem's hand in all of it... and let go of some of that "control". I won't be in synagogue this year to pray... but I will be there to hear the shofar blown. Hearing the shofar is the key mitzvah of the holiday. Don't miss it. Close your eyes, clear your mind, and let the sound enter your heart. A great book to prepare for Rosh HaShanah is: 60 Days: A Spiritual Guide to the High Holidays by Rabbi Simon Jacobson. It is great. Rabbi Jacobson has broken down the month prior to Rosh HaShanah (Elul) and the month of Rosh HaShanah and the following holidays (Tishrei) into their individual days. He then gives fascinating information about what you can learn/do each of those days to get the most out of preparations and celebrating the holidays. It's also a workbook for self-improvement, if you have the time - but if you don't, there's plenty for you to read and enjoy. It also has a guide to the prayers of Rosh HaShanah. 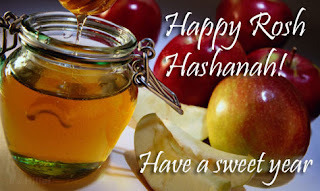 All the best to everyone for a Shana Tova U'Mituka - a sweet and good year ahead!